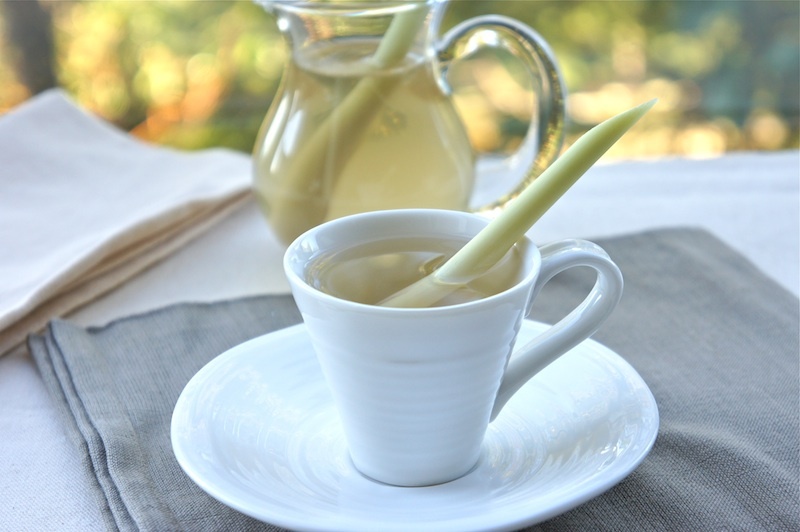 Combine the lemongrass, ginger, Pandan leaves, and water in a medium pot. Bring it to a boil, lower to heat to simmer. Cover with lid and simmer for about 45 minutes. Add rock sugar and continue to simmer for another 15 minutes. Serve warm or chilled. 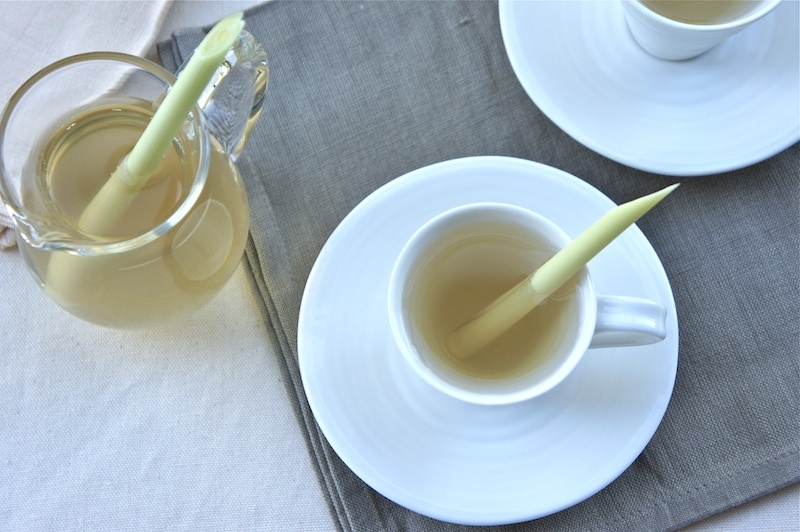 I first taste lemongrass drink in Bali and I couldn't find the same taste anywhere else. The one I had, I think has been boiled for hours, until the lemongrass feels so mellow on the throat, like what the Chinese says "Yuun". Beautiful photos and lovely drink. Our weather can't decide if it is going to be hot or cold. I foresee some sniffles in my future, this will be a great remedy. Do you know where I can get Yellow Rock Sugar online? Nice to hear about a new natural remedy especially with the cold weather upon us. 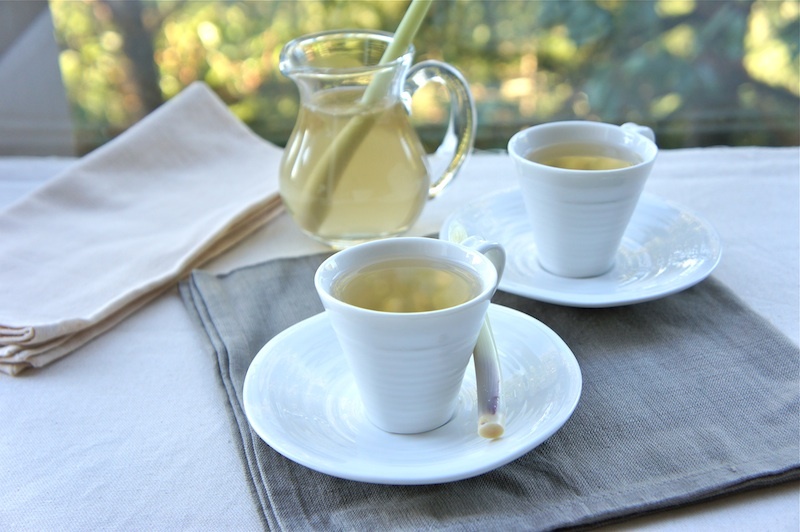 I grew up with hot camomile and anise tea, as the cure for stomach aches. I love the combination of lemongrass and ginger! I actually made a coconut curry last night that used lemongrass and ginger for the seasoning. So yummy. I had this first in a Thai Restaurant here and it was so good!! It didn't have any ginger but i think there were pandan in it. Smells so fragrant and refreshing! Neer had this before. That looks so refreshing. That looks wonderful. I make a tea similar but just with ginger and brown sugar.